I have a really weird problem. 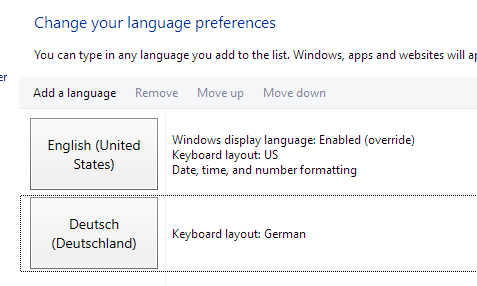 I have 2 keyboard layouts installed English-US (QWERTY) and German (QWERTZ). All was working fine. Then starting yesterday after a restart smth weird started happening. When the keyboard is English-US then both the z and the y keyboard key output a 'z'. When the keyboard is German then both the z and the y keyboard key output a 'y'. Removed both keyboard layouts and added them again. Uninstalled the keyboard in device manager and restarted the PC. I have tried with another physical keyboard (same result). I use the Logitech MK710 wireless. I have tried with the actual laptop keyboard (the PC is a laptop) and result is the same so it is not a keyboard hardware issue. I have tried the Windows on-screen keyboard and there the keys are fine. 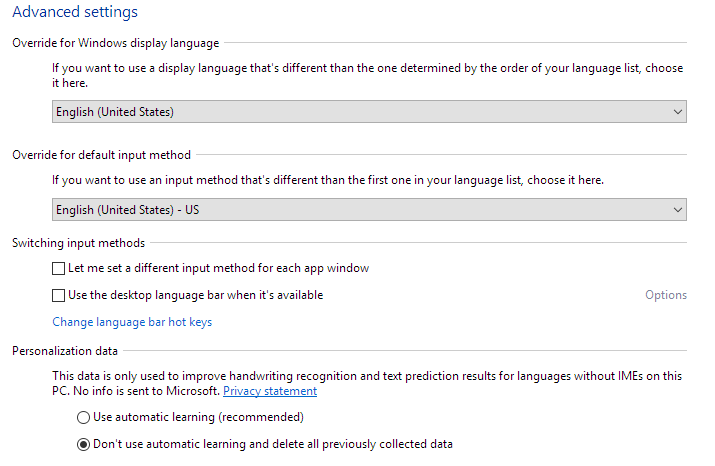 Browse other questions tagged windows-10 keyboard keyboard-layout input qwerty or ask your own question. From where do I Press the PLUS and MINUS Keys?